Not only is taking the train an environmentally friendly way to travel, it’s also one of the most romantic and relaxing ways to see the land you’re travelling through. 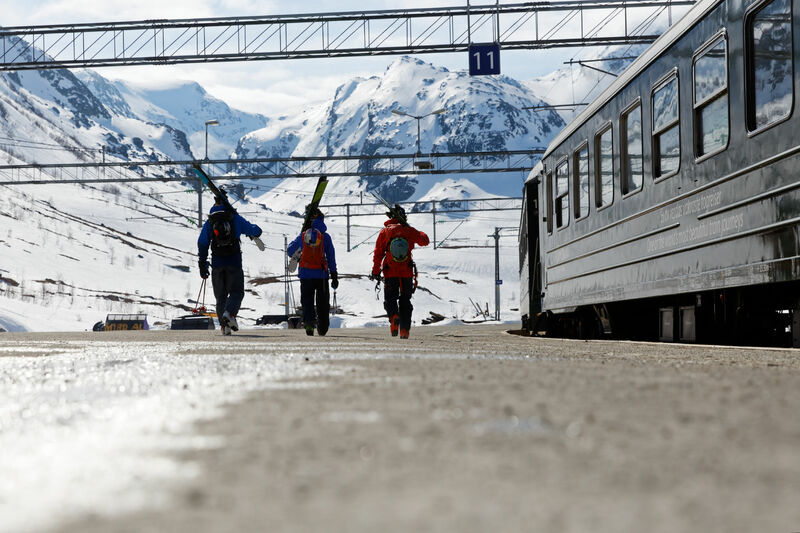 Departing Oslo, the group – including Völkl/Dalbello/Marker athletes Stian Hagen, Austin Ross and Nadine Wallner, connected to the world famous Flåm Railway in Myrdal to explore the local ski touring before departing for their final destination, Bergen. Along the way they stopped off at Vatnahalsen Lodge, which is only reachable by train – an enthralling six hour ride through some of Norway’s most spectacular landscapes from Oslo airport. 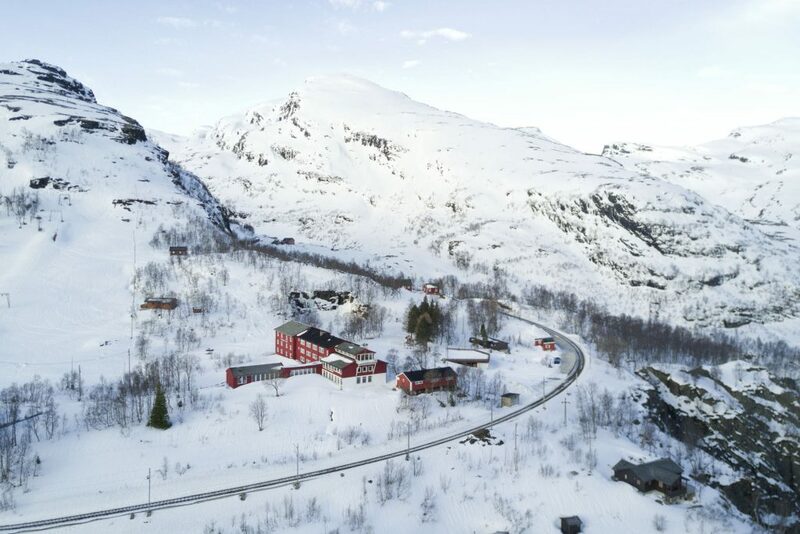 Situated on the border between the fjords and the high mountain plateau, Vatnahalsen Lodge offers some fantastic skiing and usually huge amounts of snow. Unfortunately the weather and snow conditions didn’t cooperate during the trip, but the crew enjoyed some fabulous adventure skiing nonetheless.